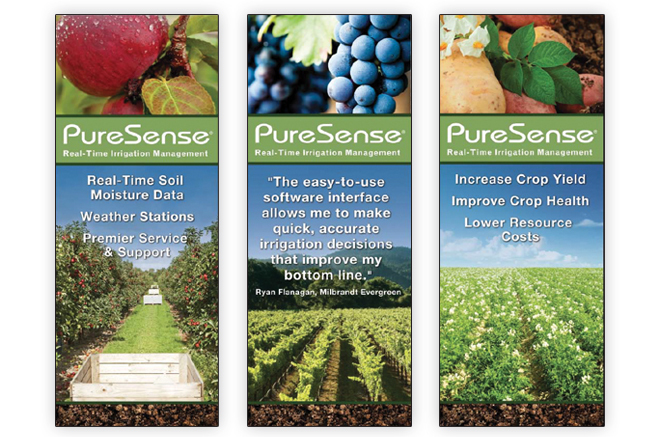 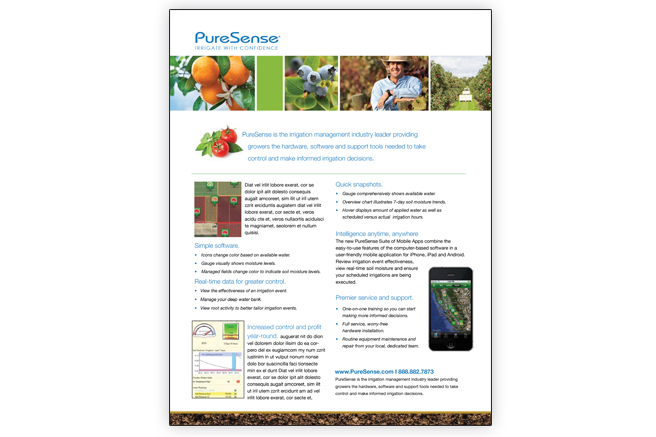 PureSense Environmental markets a state-of-the-art system that monitors soil conditions and weather data to improve irrigation practices. 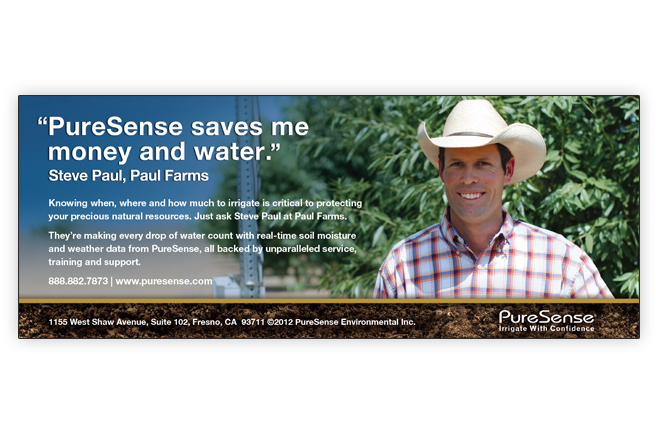 PureSense tapped Bridges Marketing Group to implement a campaign that encouraged growers to test the PureSense system. 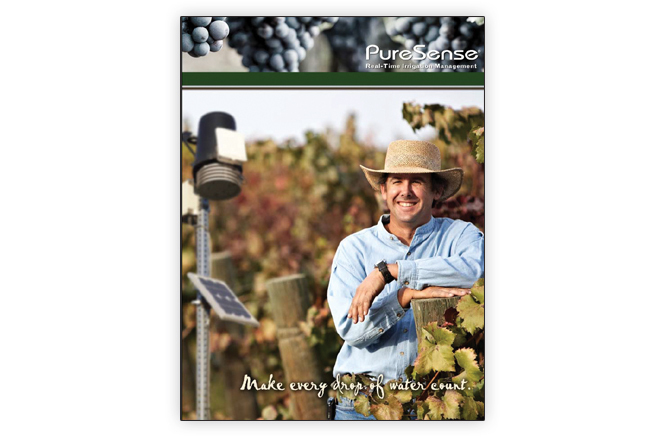 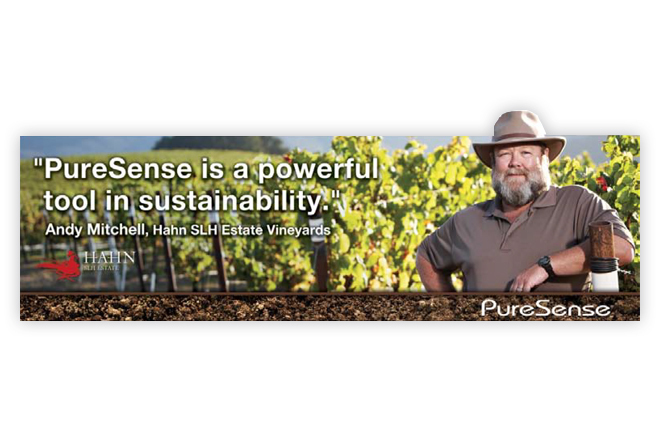 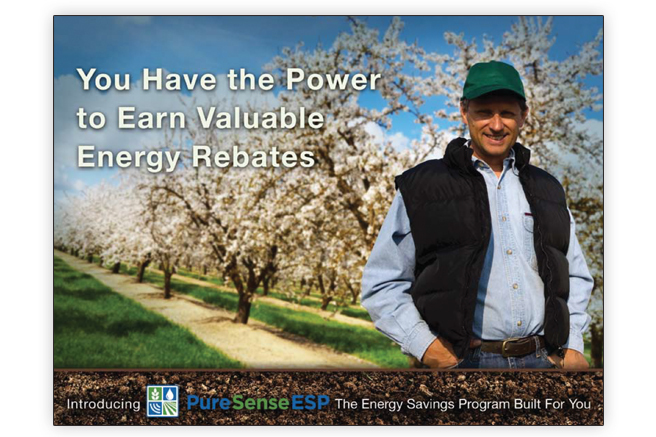 Bridges produced a series of testimonial ads and complementary collateral that showcased satisfied and enthusiastic PureSense growers.